If you have a green thumb and are interested in creating a garden a little out of the ordinary, consider planting a Halloween garden. If you already have a gothic garden, you’re already more than halfway there, as adding some accent pieces and perhaps a few additional plants that bloom at night will make your Halloween garden complete. 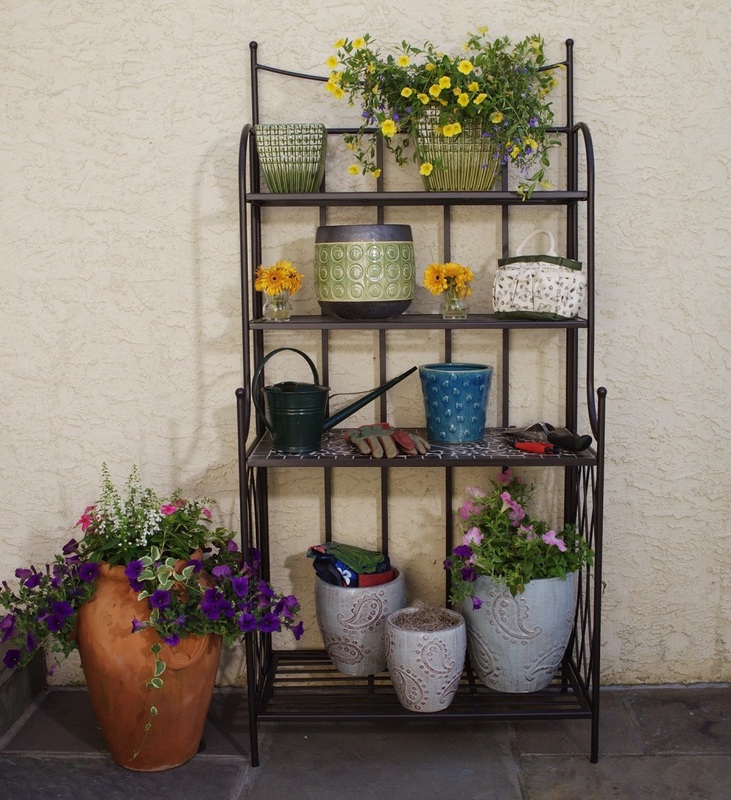 If you are starting from scratch, here are some helpful ideas on which plants to place in the garden and what type of decorative and beneficial accents to add. First, you need to decide if you will be creating your Halloween garden in an existing garden space, or making a new space devoted solely to it. For existing garden spaces, adding some gothic accessories such as gargoyle statues, part of a wrought iron gate, and a moon dial will help create a great Halloween garden look. You can add “headstones” from a local retail store if you want the look of a cemetery around Halloween time. 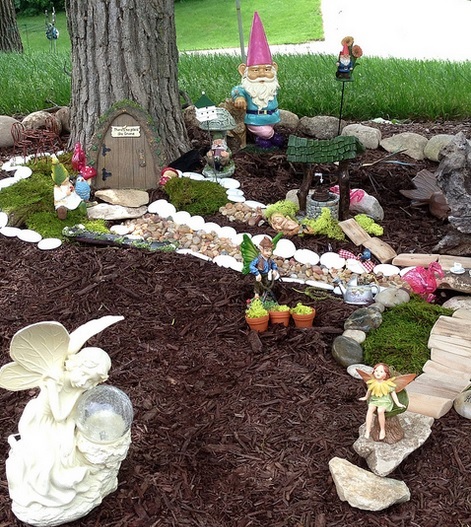 There are lots of other possibilities to add your Halloween garden. 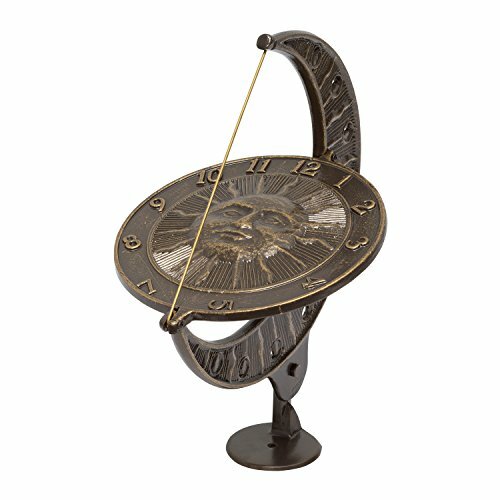 This great sun and moon sundial would look fabulous in any garden setting and really fits the Halloween garden theme. Large dial face shows the sun, while a large crescent moon encircles the sun. 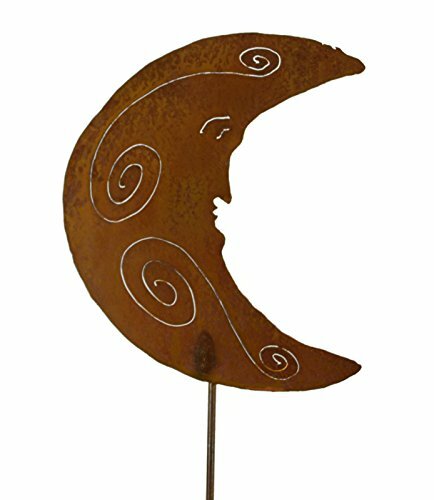 This great Man In the Moon garden stake adds a touch of Halloween charm to the garden space. Add one of two for a bewitching accent. 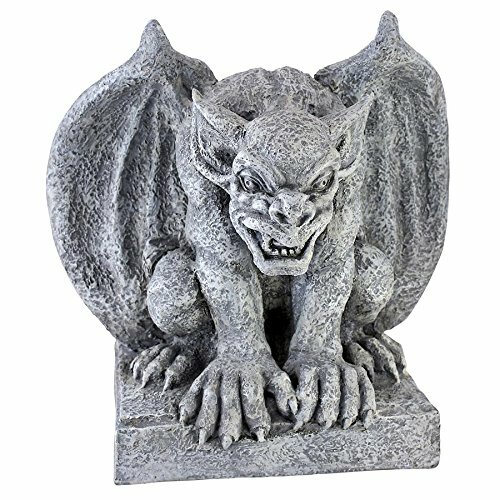 Make sure that a creepy gargoyle is watching over your garden space at all times! The fellow would look great in a Halloween garden setting. Made from designer resin with a stone look finish. 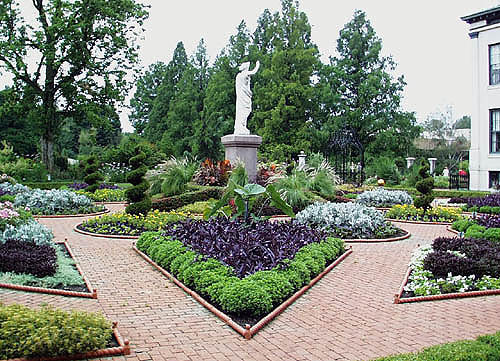 Gothic gardens typically contain plants, shrubs, and ground cover that is very dark in color. 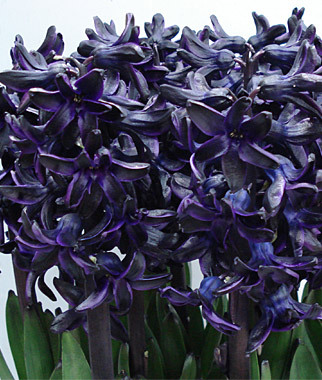 Flowers that are called “black” work well, as well as those with deep hues of burgundies, reds, and purples. Remember that some fruits and vegetable plants also fit the bill for a gothic garden, so you can incorporate them into the flower planting too. Not only do you get a great gothic look, but also reap some healthy goodies from the garden while you’re at it. Keep in mind that some of your plants may be done blooming by the time Halloween arrives, in which case you can rely a bit more on accessorizing to get the look you want. Another thing to consider is that you may not want to plant exclusively dark colored plants, as a Halloween garden would also lend itself to planting corn stalks and pumpkins which are also symbols of autumn and Halloween. 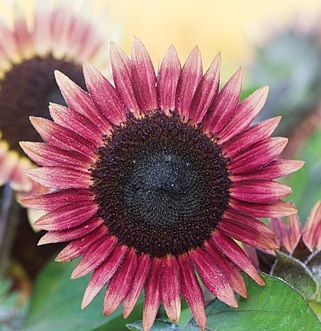 A very important thing to remember is that while your dark colored plants will look great during the day, your Halloween garden is likely to be viewed at night, when dark flowers and ground covers are not very visible. 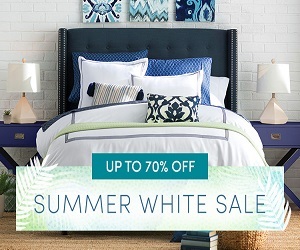 This is where the color white becomes a key player in the garden. If you plant night blooming flowers among your other dark gothic plants, opt to choose white so that you will be able to see the color stand out in the darkness. 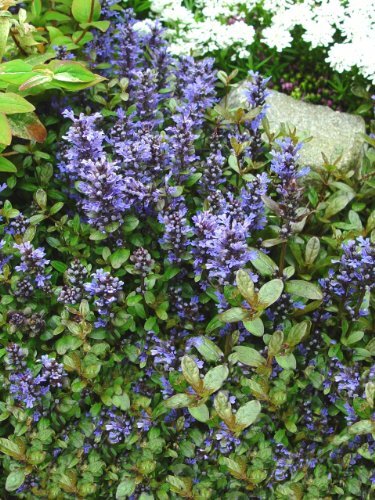 For daytime blooms and color, the Salvia guaranitica Black & Blue is a good choice with its dark blue-purple flowers and purple stems. 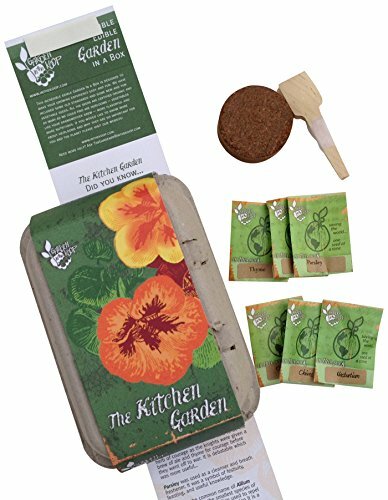 These will attract butterflies and hummingbirds during the day, and bring beneficial, spooky looking creatures such as bats to your garden at night. Other good choices to attract bats to your yard not only for Halloween but for summer and fall pest control include Silene, Cornflower, Phlox, and Spearmint. These plants attract the night flying insects that are the food source for the bats. 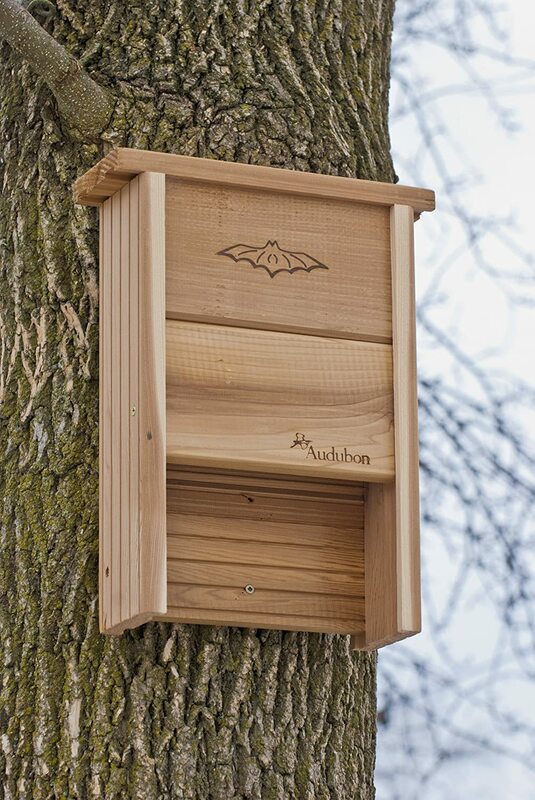 You might also wish to make or purchase a bat box and place it on a pole about 12 to 15 feet off of the ground within your Halloween garden. This provides a place for them to roost and keeps them near their food source, which gives you a better viewing opportunity at night. Keep a water source nearby for the bats as well to encourage them to roost in your yard. 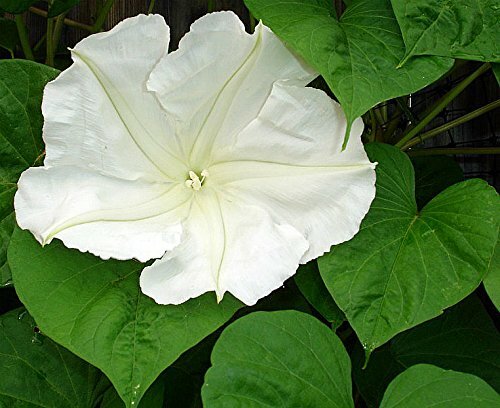 For night time bloomers, consider planting Moonflowers. Similar in appearance to morning glories, these trumpet shaped flowers are larger and pure white in color. They bloom after the sun sets in the evening and the flowers are outstanding in appearance and give off a very fragrant scent that will make your garden smell heavenly. 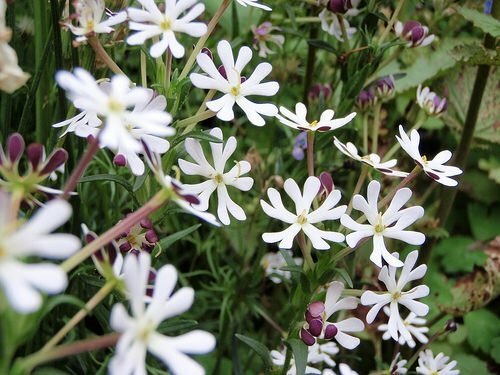 “Midnight Candy” night blooming phlox is also a good choice. These flowers come in shades of white, purple, and maroon so it will work well with your color scheme whether you choose to go with dark flowers or want some white ones to show in the dark of night. 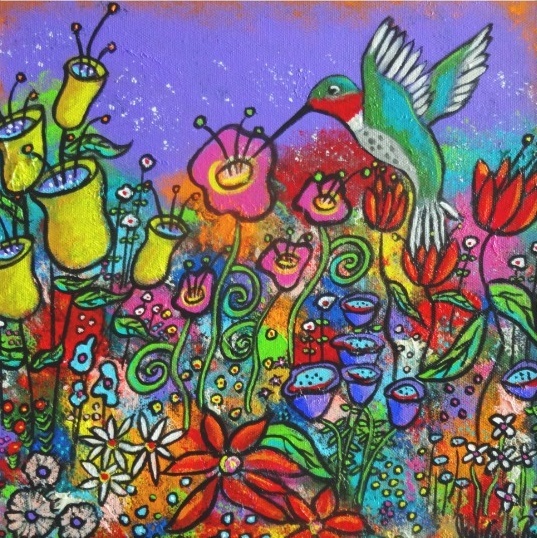 The flowers release a pleasant scent similar to that of a honey-almond and vanilla. Both of these flowers also work well for a Moon Garden, a night blooming garden. Other late night bloomers to consider include Evening Primrose, Evening Stock, Nottingham Catchfly, August Lily, Four’o’Clocks, and Vesper Iris. You may wish to include them in you Halloween garden simply because of the fact they are night time bloomers. 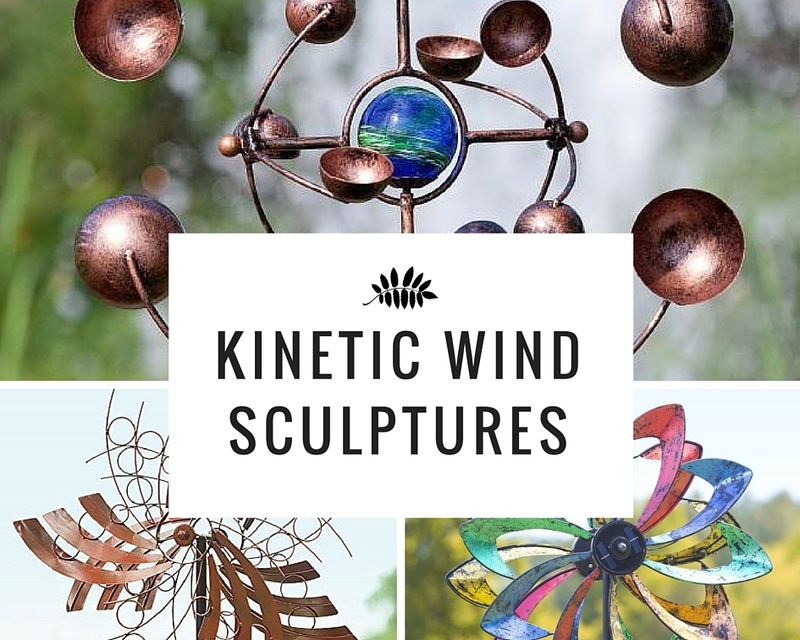 If using flower colors other than white, you may want to place a few solar powered stake lights within the garden to draw attention to it and showcase your hard work. 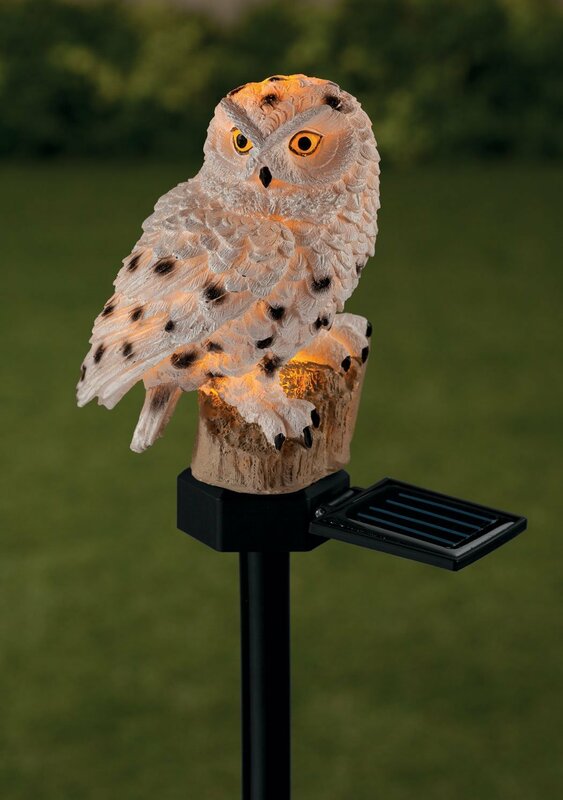 These great owl lights are the perfect accent lighting for a crisp fall evening. 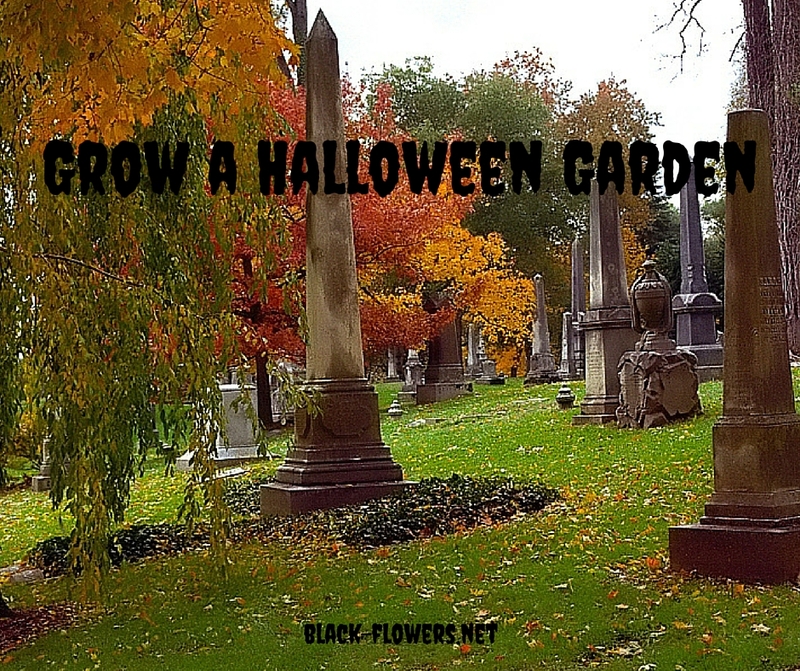 If you want to keep your Halloween garden all year round, minus the tombstone decorations, you can keep it alive from spring through the first frost by planting a variety of dark flowers that bloom at various times during the growing season. 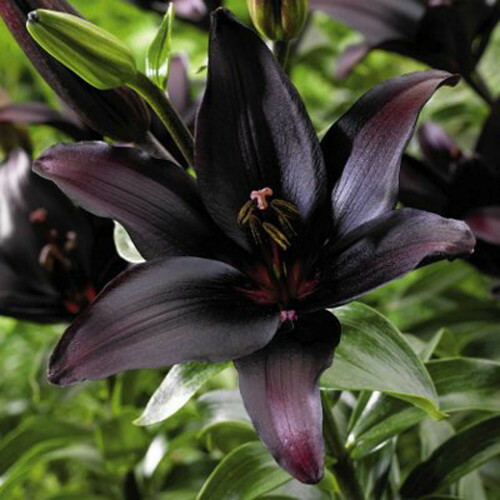 For spring or summer blooms, consider the Queen of the Night Tulip, Black Calla Lily, Black Nigra Hollyhock, Bat Orchid, Black Lily, Black Velvet Petunia, and Black Pansy. 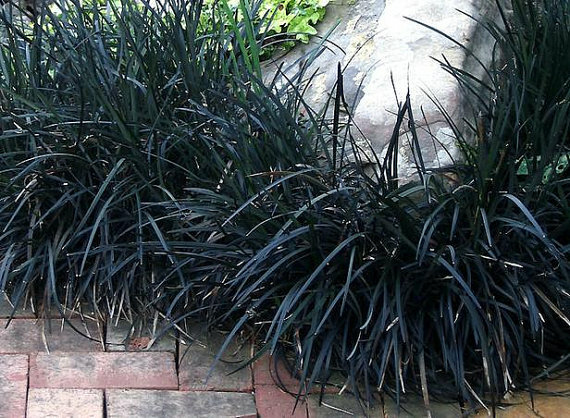 Adding dark ground cover plants such as Black Mondo Grass and Black Scallop Bugleweed also looks great in a gothic or Halloween garden and helps to fill in bare spots. As far as ideas for fruit and vegetable plants, consider “black” tomato varieties (which will likely still be producing come Halloween time), eggplant, and blackberries to name a few.